A subscription to Apple Arcade includes access to over 100 new and exclusive games that can be played both online and offline across iPhone, iPad, Mac, and Apple TV, and the whole family can play using Family Sharing with one subscription fee. Apple Arcade will have a dedicated tab on the App Store, and games will be curated by Apple's team of App Store editors. Apple says the emphasis will be on personalized recommendations, and Apple promises that Apple Arcade games cannot collect any data about the user without consent. "The App Store is the world's biggest and most successful game platform. 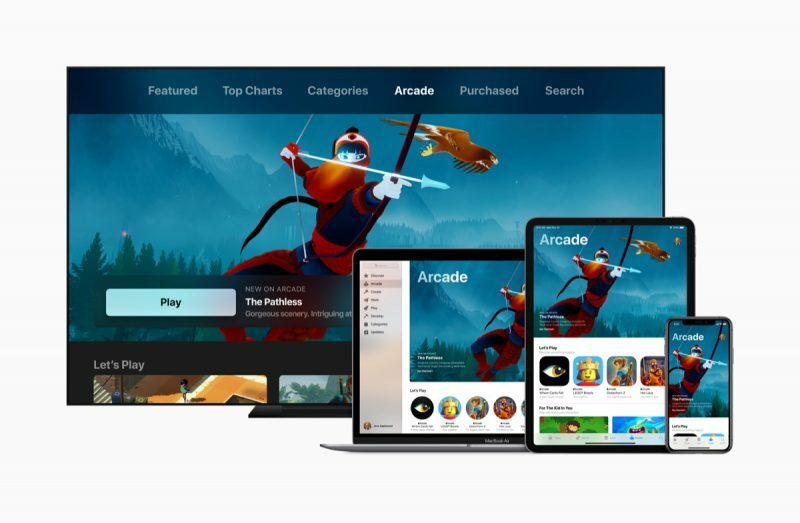 Now we are going to take games even further with Apple Arcade, the first game subscription service for mobile, desktop and the living room," said Phil Schiller, Apple’s senior vice president of Worldwide Marketing. "We are working with some of the most innovative game developers in the world to create over 100 new and exclusive games to play across iPhone, iPad, Mac and Apple TV. Apple Arcade games will be great for families, respect user privacy and will not have ads or require any additional purchases. We think players of all ages are going to love Apple Arcade." Apple Arcade will launch in fall 2019 in more than 150 countries across iOS, macOS and tvOS. Apple is asking developers interested in being considered for Apple Arcade to visit developer.apple.com/apple-arcade. Meh... this is another insult for Mac users, for me. So, they just downgraded the gaming on Mac to mobile level. Why should I trust Apple for gaming?? They never offered top gpu options to play games properly and macOS was always behind Windows when it comes to optimization for games. I hate the future now. It's all subscription services. Really pushing hard on their customers ecosystem loyalty. "Stay a while, staaaaaay forever." I’m a simple man. No Flappy Bird, no buy. What? There are literally no games for macOS. It’s the ********* platform on earth for gaming, even Linux is better. Are you drunk or something? There are more than 20,000 games for Mac on Steam alone, including super popular titles like Counter-Strike or Rocket League. Linux has just about 12,000. Plus, with Fortnite, one of the most popular games at the moment is available for Mac, but not for Linux. Xbox game pass is 10$ a month and an xbox is cheaper than any apple device lol, what was Apple thinking? Or you can buy an AAA game published a few years ago for $5 on Steam and play it forever on your PC. A flop in the making. Back to 8 bit gaming on my $2600 MacBook LOL. 100 platformers in a variety of colors.